When your tire is flat, and you are stuck on some desolate street, don’t lose hope. There may just be a knight on a shiny bicycle to lend you a helping hand…and maybe even a little something more. That seems to be the moral of this passionate video featuring 2 star crossed Japanese lovers, Kento and Yuya. The video starts as Yuya finds himself in a rut..his bicycle tire is flat and he has no idea what to do to fix it. 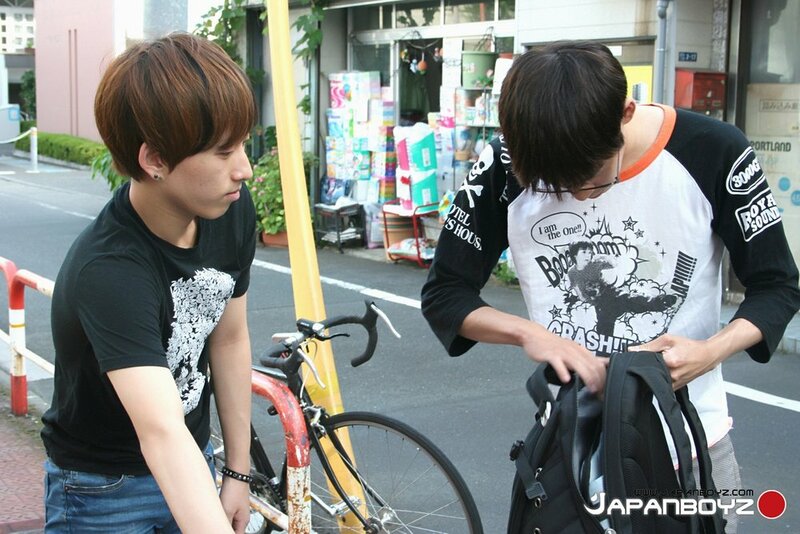 Fortunately, Kento was riding home from college when he noticed sweet Yuya struggling with his bicycle. He reached into his bag where he pulled out a trusty tire pump, and pumped this boy’s tire up good. I bet you can guess this isn’t the only sort of pumping that is going to be going on…After the bicycle is fixed, Yuya invites Kento over for a nice cool beer, and soon the 2 sweethearts ride away into the setting sun.